Lot 620: Herend Rothschild Dinnerware & "Smithsonian" Animals, 26 pcs. 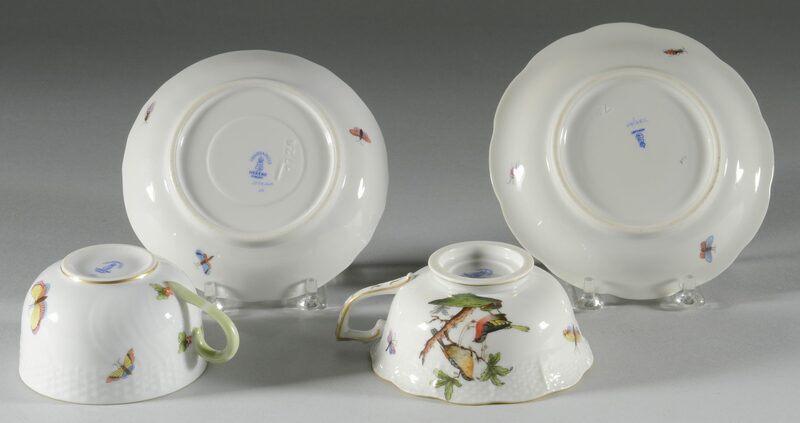 You are here: Home >> 2017 01 21 Auction - Knoxville, TN >> Lot 620: Herend Rothschild Dinnerware & "Smithsonian" Animals, 26 pcs. 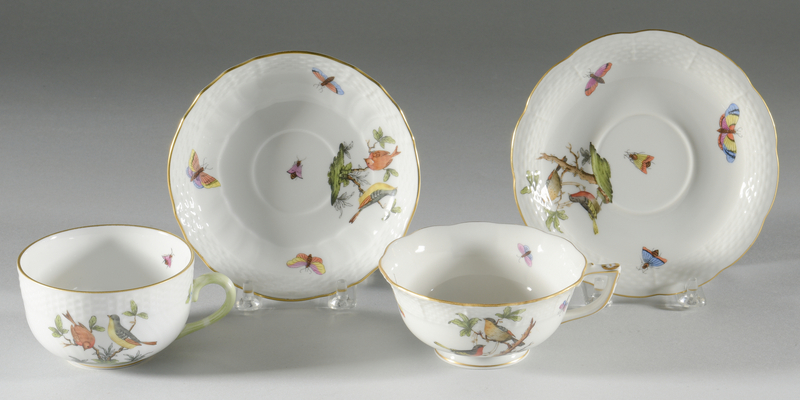 1st group: Twenty-three (23) pieces of Herend Rothschild Bird porcelain dinnerware, including 3 dinner plates (#1524), 3 salad plates (#1518), 3 bread and butter plates (#1515), 1 footed cup and saucer set (#734), and 6 flat cup and saucer sets (#1726). All pieces with blue Herend marks to the underside. Plates/saucers range in size from 1" H x 5 1/4" dia. to 1" H x 10 3/8" dia. Late 20th/early 20th century. 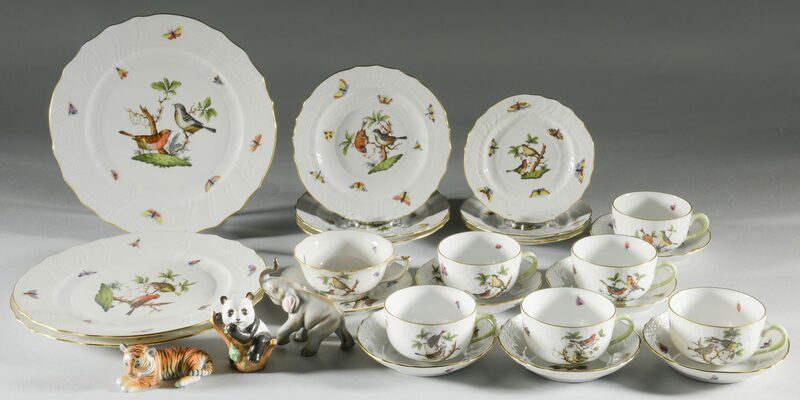 Cups range in size from 2 1/8" H x 4 1/4" W x 3 1/2" D to 2" H x 5" W x 4 1/4" D. 2nd group: Three (3) Herend Guild porcelain "Smithsonian" animals, including an elephant (3 1/2" H x 3 3/4" W), a tiger (1 1/2" H x 3 1/2" W), and a panda (3" H x 2 1/2" W). All pieces with gilt Herend Guild and Smithsonian marks and blue Herend marks to the underside. Early 21st century. CONDITION: All items in overall excellent condition.